Read how Hank gets on in the big game. It's time for the annual Baseball Olympiad: the most anticipated day of the school year! 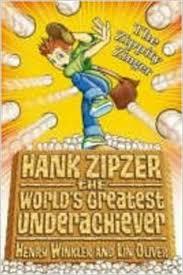 When Hank Zipzer is chosen as his team's softball pitcher, the pressure is on. Can Hank lead his team to victory - even though he thinks he's the worst athlete in the history of the world?